Before and 3 months after Dermabrasion for acne scarring. Laserbrasion, dermabrasion and deep peels are procedures to refine the texture of the skin's top layers through a method of controlled abrasion which improve and or remove surface irregularities such as fine surface lines or scarring from previous trauma, surgery or acne. 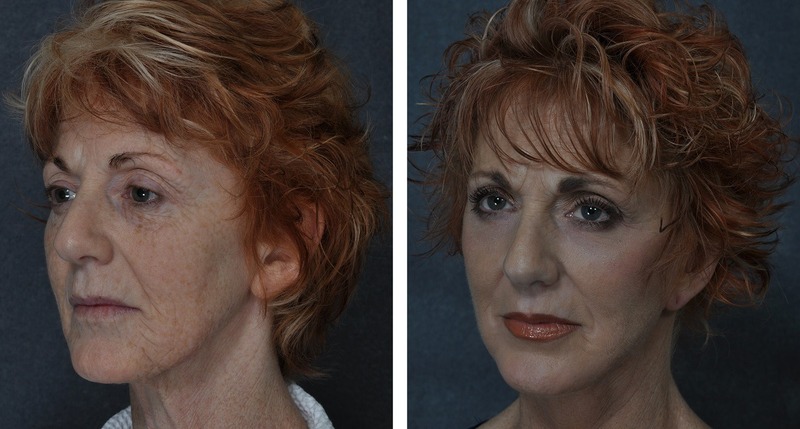 These treatments can either be used for a specific aesthetic area, for example the lines around the lips commonly known as smokers lines, or to the entire face. It is important to have a trained professional cosmetic plastic surgeon such as Dr. Hodgkinson assess your individual case to determine whether dermabrasion or laserbrasion is a better option for you and whether or not it is necessary to abrade the entire face as opposed to one aesthetic area so that the final result is even not only in pigment but in texture to avoid a treated look. Laserbrasion uses the power of laser light to ablate the surface of the skin. Laserbrasion is more commonly used in very delicate areas such as for fine wrinkles around the eyes. Dermabrasion is carried out with a surgical instrument that has a super fine diamond rotating file as a head to allow an experienced practitioner the ability to remove only exactly as much surface skin as is necessary to reveal fresh layers of skin beneath and to create a continuous smooth contour over the entire surface. 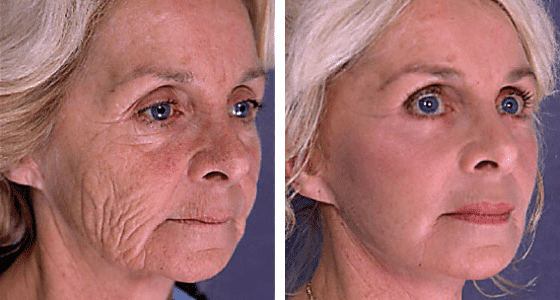 Skin resurfacing procedures also commonly include chemical peels. Chemical peels are generally used to treat very fine wrinkles or pigmentation whereas dermabrasion/laserbrasion are preferable for deeper imperfections of the skin such as post-acne pock marks. Dermabrasion may also be preferred for individuals with slightly darker skin as it is less likely to produce changes and contrasts in skin color more commonly associated with chemical peels. Skin resurfacing procedures are often carried out in conjunction with other facial rejuvenation procedures such as facelift, browlift and eyelid lift or cosmedical treatments such as anti-wrinkle injections, injectible fillers or Thermage® to create a uniform and all over more youthful appearance. For deeper and more extensive lines I prefer to resurface the upper lip with either dermabrasion or the carbon dioxide laser treatment. The smooth resurfaced skin takes seven to ten days to heal and leaves new, pink skin which for six to eight weeks requires makeup to conceal and sunscreen for protection. The new, smooth upper lip can be a little shiny and lighter in colour than the rest of your face. This is why resurfacing the whole face is sometimes better so that there is a uniform lighter colour all over rather than have a demarcation line around your mouth and a sun-tanned, freckled complexion on the rest of your face.